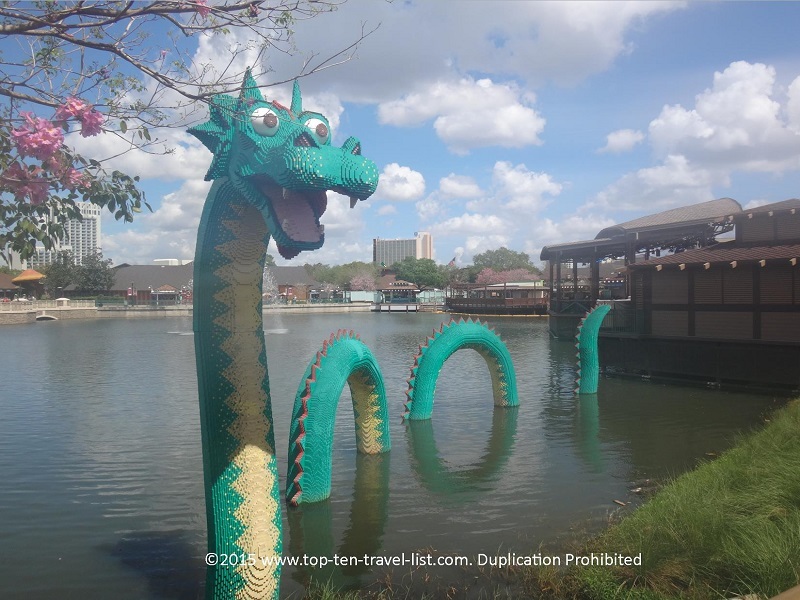 10 Fun Things to do at Downtown Disney - Page 2 of 2 - Top Ten Travel Blog | Our experiences traveling throughout the US. 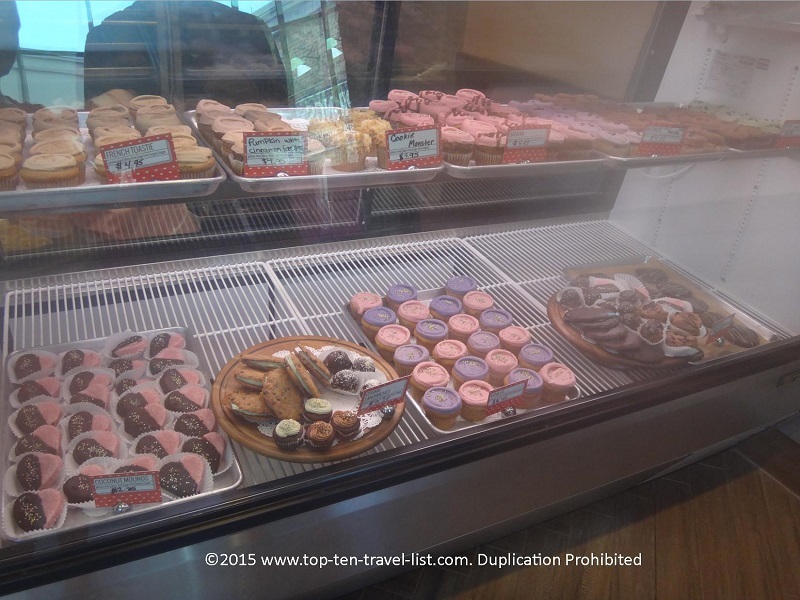 This unique gluten-free, vegan, and soy-free bakery is sure to please anyone with a sweet tooth. Allergies or not you will be pleased with the variety of delicious desserts and pastries found at this NYC based company. Pumpkin muffins, donuts, chocolate chip cookies, and cupcakes are some of the items you will be able to test out. 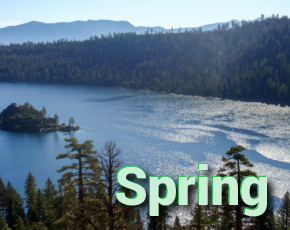 Be sure to try the Thin Mints – they are outstanding! Look at all these delicious treats! It’s hard to believe they are all gluten-free and vegan! 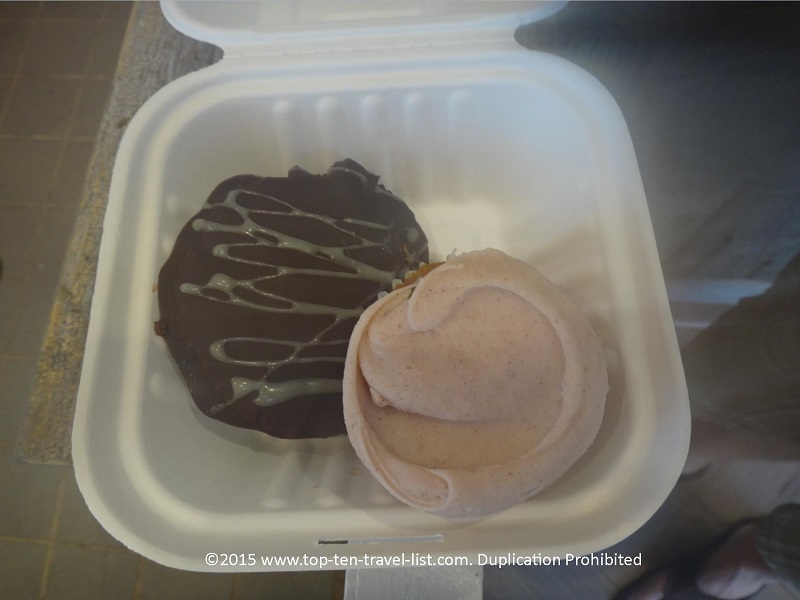 Try the pumpkin muffin and thin mint cookie: absolutely delicious! This fantastic bakery proves that just because a treat is vegan and gluten-free doesn’t mean it is not fabulous! One piece of advice: do not over-order! In the intense Florida heat, your treats will melt very quickly! If you’ve never visited this popular jungle themed chain, Orlando is as good as any location to check out. The unique design concept is so much fun! 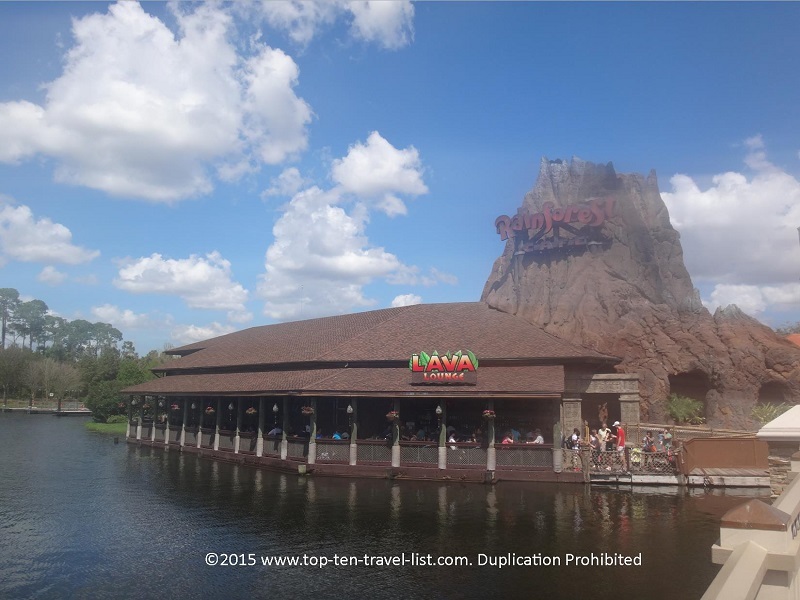 Dining out is a much more entertaining experience in a setting as wild as that found at Rainforest Cafe. As for the food you will see that the menu consists of comfort favorites like burgers, sandwiches, fried appetizers, seafood and meat based entrees, and pastas. One advantage of the Downtown Disney location (besides the pretty waterfront setting) is that they are more than willing to adjust entrees according to your dietary/food allergy preferences. The jungle inspired food and setting is sure to please even the pickiest diners. At Downtown Disney’s Lego Store, you will find hundreds and hundreds of your favorite Lego sets, in every variety from Barbie to Teenage Mutant Ninja Turtles. After a few simple minutes browsing around the shop you will see that there is a Lego set for every age and budget. It would be hard to leave without picking up a set, either for yourself or to be given out as a future birthday or holiday gift. 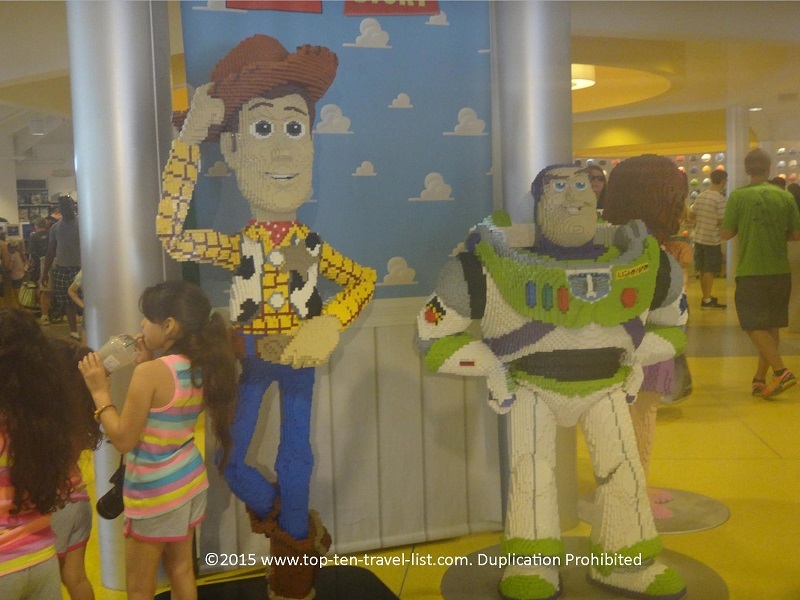 The lifesize Lego figures (Buzz and Woody from Toy Story among others) make for the perfect photo opportunities. In addition, be sure to check out the amazing Lego dinosaur creation out by the water (just in front of the store). Visiting Orlando without making room for a show or 2 just wouldn’t be right. Although there are dozens of varieties to choose amongst (from a pirate’s dinner adventure to a Medieval Feast) Cirque du Soleil, conveniently located right in Downtown Disney, is the perfect choice for everyone. You will be mesmerized as you are entertained by a variety of incredible acts including the high wire, aerial ballet, juggling, and much more! 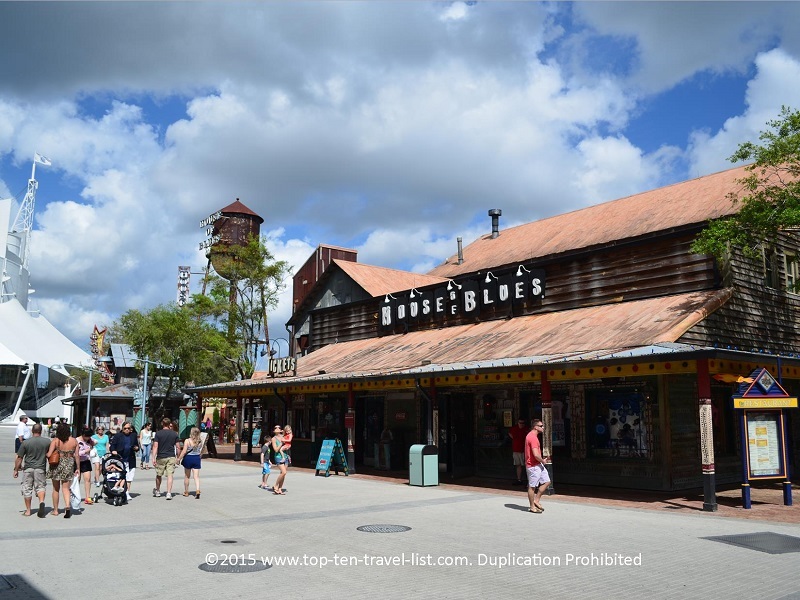 House of Blues, with a full lineup of monthly events, is another option. As an added bonus, before/after your show you have plenty of dining and shopping options in the Downtown Disney district. It can get really hot, crowded, and frustrating walking around Downtown Disney, especially during the summer months. Summer days when the sun is at its’ strongest, temps are consistently in the upper 90s with humidity, and crowd levels are highest are uncomfortable to say the least. In all likelihood you will tire out very quickly after walking around for just a little bit. Why not take an hour or 2 break to see a movie in a comfy air conditioned theater? Take a refreshing time out and rejuvenate yourself before heading back out into the intense sun. 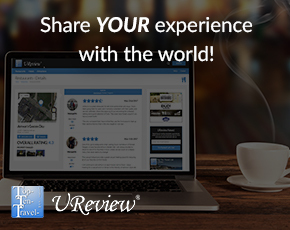 This theater features Fork&Screen, a service which allows you to upgrade your seating to a recliner, order from an extensive restaurant menu, and request service with the quick push of a button – how’s that for a vacation?! 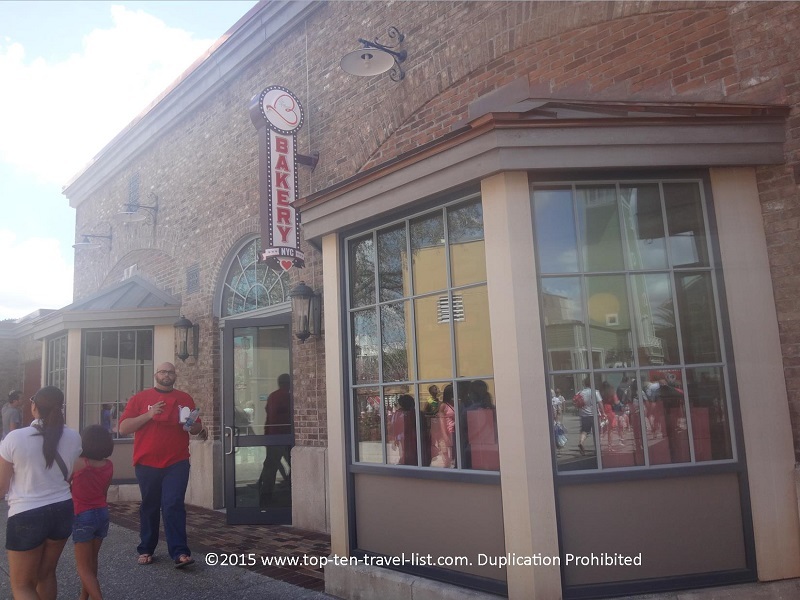 Every Disney fanatic must plan for a stop at this large Downtown Disney souvenir shop. Everything you could possibly want to add to your Disney collection can be found here – clothing, Mickey ears, home decor, toys, stuffed animals, and much more! World of Disney is a fantastic place to stock up for early Christmas gifts for any Disney fans on your list! 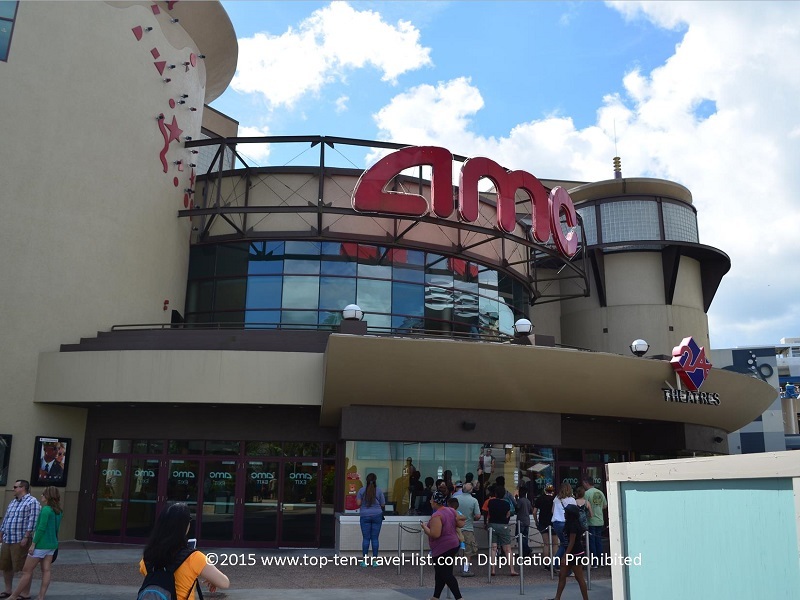 Have you visited any of the above mentioned Downtown Disney attractions? What are some of your favorite things to do at Downtown Disney?